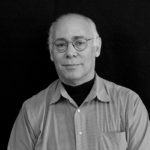 Milton Shinberg has been in practice as a registered architect since 1975, following graduation from Carnegie-Mellon University in Pittsburgh and work with the nationally noted firm of Arthur Cotton Moore + Associates. His projects, renderings and articles have appeared in local and national publications. Shinberg has designed renovations of many historical properties and his work has brought new life to depressed urban areas. His work at the M.A. Winter Building is credited with helping propel the revitalization of U Street in Washington, DC. He has designed the award-winning Lofts at Logan Circle, the Johnson Avenue Lofts, the Greenpeace USA National Headquarters and the acclaimed U Street Warehouse Renovation. In addition to the re-use and preservation of commercial and residential buildings, Shinberg has designed the reuse of existing school buildings and conversion of non-traditional buildings to school use. School project size has ranged from 12,000 square feet to 235,000 square feet. His work has won national recognition. He completed work as the Urban School Expert for the Second Ward redevelopment in downtown Charlotte, NC. That project was recognized with an award by the American Association of Land Planners. He is known as a leader in the design of schools in the Nation’s Capital. He was an invited presenter at a US Department of Education National Convention. He has authored materials on school facilities and development that are now incorporated in published guides. Shinberg has made multiple presentations before the United States Commission of Fine Arts, the Architect of the Capitol, the Board of Zoning Adjustment and the Zoning Commission of the District of Columbia, among others, and has testified as an expert witness. He has provided pro bono support to community groups in Dupont Circle, Sheridan-Kalorama, Logan Circle, Capitol Hill and Shaw, and testified in the creation of the Chanceries/Foreign Missions Act, and the Historic Preservation Act. His work for nonprofit organizations spans twenty years. Milton’s work has received number of awards from the American Institute of Architects and other organizations, as well as the AIA Journal Jury Award. In addition, his projects have appeared and been reviewed in broad circulation publications, including The Washington Post, The New York Times, The Washington Post Magazine, Home-Life Magazine, Home & Design Magazine, Dossier Magazine, NYARUM Magazine, and number of international architecture books and online publications. In addition to architectural registration in several states, he holds the certificate of the National Council of Architectural of Architectural Registration Boards (NCARB), which provides access to registration in most other states. He has held adjunct status at the CUA School of Architecture for over 20 years, teaching a wide range of courses. While at Carnegie-Mellon University, he received the PPG Foundation Traveling Fellowship and was elected by the faculty to the national architectural honorary society, Alpha Rho Chai.